Caley is a sincere, practical lawyer. She graduated from Murdoch University with a Bachelor of Laws in 2014 and was admitted to the Supreme Court of Western Australia in July of 2017. She was subsequently entered on the Register of Practitioners in the High Court of Australia in 2018. Caley excels in delivering clear and concise advice to her clients, assisting them to resolve disputes as efficiently as possible. However complex the matter, Caley ensures that her clients are thoroughly advised of the options available to them and are able to make well-informed decisions. In her daily practice, Caley is highly focused on outcomes and is committed to achieving tangible results for her clients. Since her admission, Caley has practiced Family Law exclusively and has accrued extensive experience in all areas of Family Law. Eager to improve her understanding of the intricacies of Family Law, Caley is currently undertaking further studies to receive a Masters of Applied Law in Family Law. 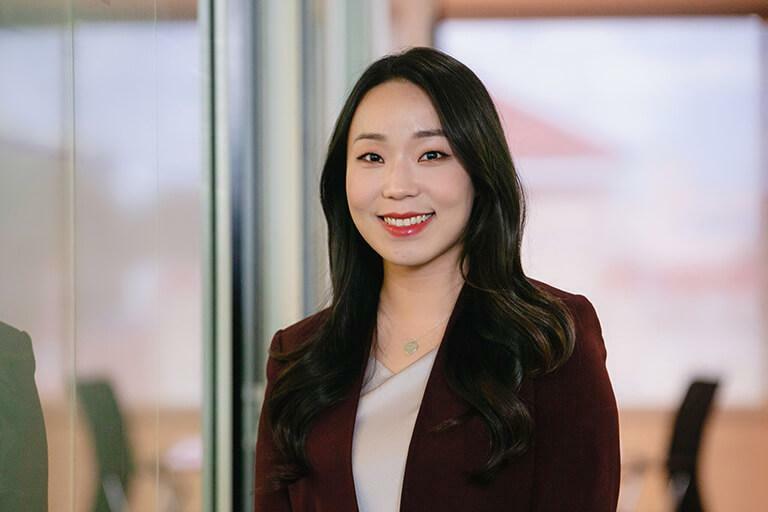 Born in Korea, Caley is a fluent speaker and writer of Korean and takes every opportunity to visit her extended family. In her spare time, Caley enjoys spending quality time with her family and friends, as well as her Maltese Shih Tzu, Loui. Obtained orders for the recovery of children representing the paternal grandmother in circumstances of serious drug use and risk of harm posed by the parents. Participated in a lengthy Mediation Style Conference and ultimately negotiated a property settlement and Minute of Consent favourable to our client. Appeared as instructing Solicitor with the Barrister in a complex child-related interstate relocation matter in the Family Court of Western Australia, ultimately achieving a Minute of Consent favourable to our client. Represented a client in financial proceedings where leave to proceed undefended was obtained and the client was wholly successful in the Orders sought. Pursued and successfully obtained orders for interim and final international relocation of children.